Idlis, dosas and uthappams are part of regular breakfast items in any South Indian home. 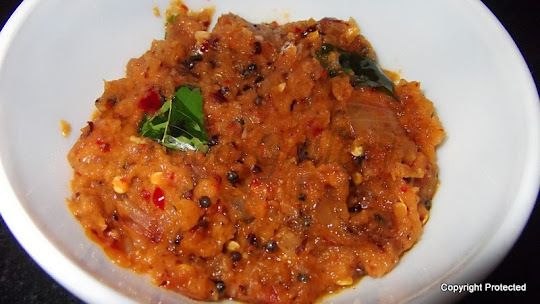 Onion chutney, coconut chutney, peanut chutney, tomato chutney, Tomato-onion-coriander chutney are the common accompaniments that go with these breakfast dishes. 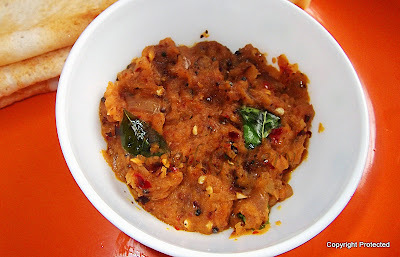 Am presenting here the recipe for Tomato chutney that I usually prepare. 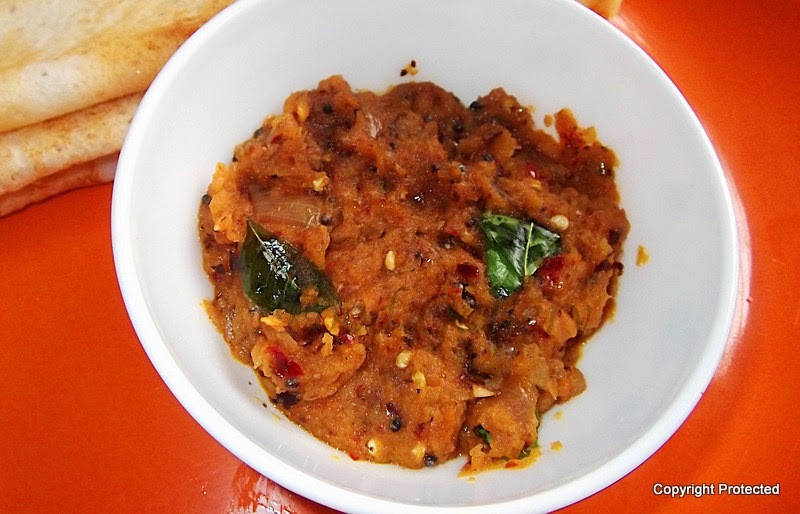 This chutney is spicy, tangy and mildly sweet. The chillies can be adjusted according to taste. Heat 2 tsp of oil in a kadai and saute tomatoes (do not chop them). When they become fried on all sides, remove onto a plate. In the same kadai, add 1 tsp of oil and saute red chillies for about a min and remove them. Then add onions and saute for a few minutes till they turn light brown and remove from fire. Once all the above fried items (tomatoes, onions, red chillies) cool down, add a little salt and grind them to a coarse/smooth paste according to your choice. I have made a coarse paste here. Do NOT add water. Heat 2 tsp of oil in a kadai and add mustard seeds. Once they start spluttering, add curry leaves and the ground paste and mix well and let it cook for about 3-4 mins and remove from fire. Serve hot with idli, dosa, vada or uthappam. making uttapam tonight so will try this with . I too make the same way for dosa ! 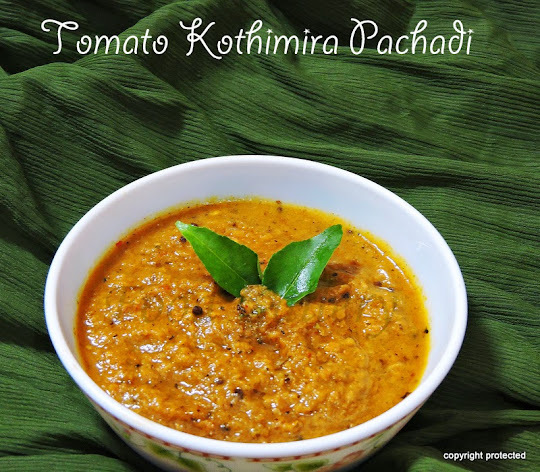 Delicious tomato chutney Love to have with my dosa.